There's no need to worry about trying to track down some kind of RF box adapter in order to try and get this thing to work with your modern HDTV, this NES redux comes with a built-in HDMI port and an HDMI cable. 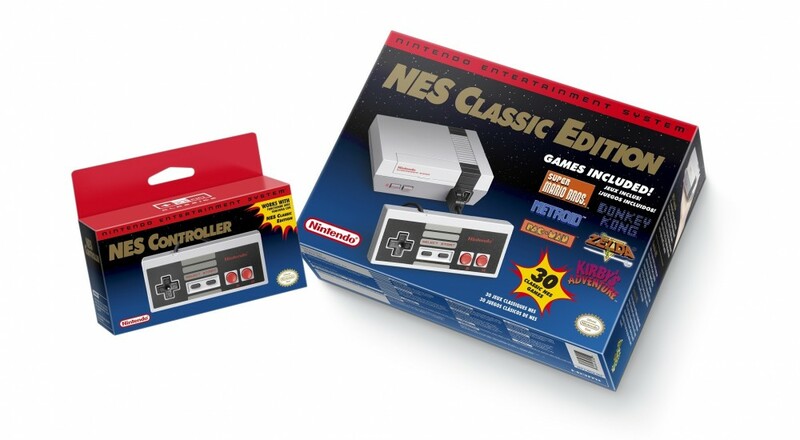 You'll also get an NES Classic Controller to use with the system so you can really relive all of that 1980s glory. Of course, if you want to play any of those co-op titles with a friend, you'll need a second controller. You can buy another NES Classic Controller for $9.99, or just use one of the Classic Controllers or Classic Controller Pro you've got lying around from your Wii/Wii U. The NES Classic Edition will be available starting November 11 (just in time for the holidays!) for $59.99.